This easy to grow plant has been a favorite for terrariums and home decor since the Victorian era. It is extremely slow growing, but can grow to 4-6 ft tall. Each palm is grown from seeds which are shipped from Guatemala and take about 6 months or more to germinate. 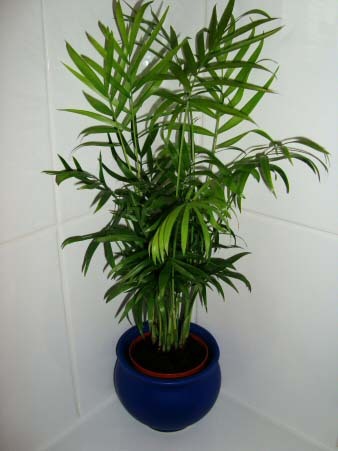 ‘Bella’ takes wonderfully to water culture and is very versatile. Warm temperatures are preferred, but it can tolerate temperatures near freezing without damage. Check regularly for red spider mites on the underside of the leaves, and if present rinse the fronds with tepid soapy water.